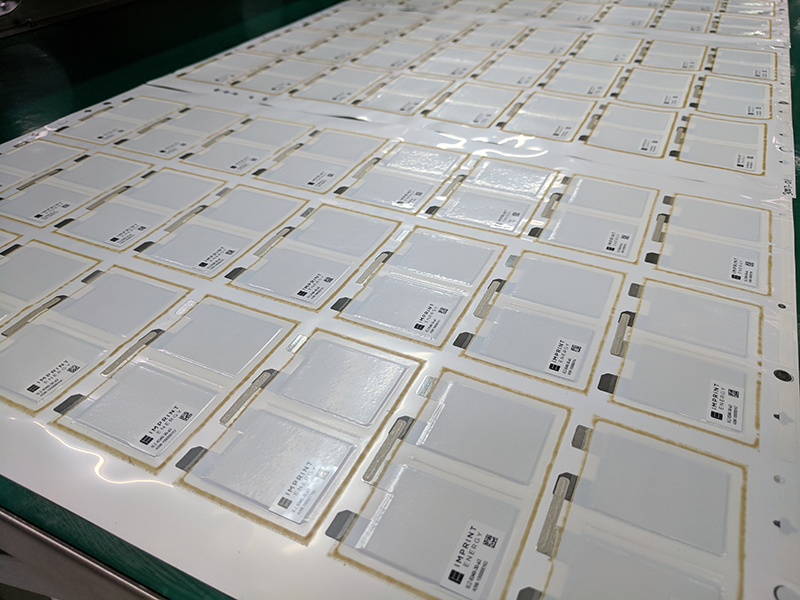 Through NextFlex, Imprint Energy has achieved fast-turnaround production of new thin batteries and found new customers like Boeing. Imprint Energy creates ultrathin, flexible, printed batteries that are especially well-suited for IoT devices, sensors and wearables. Our printed batteries are as thin as a couple sheets of paper and can have the size, shape and capacity needed for smart labels, pill bottles, smart Band-Aids and more. Our technology gives electronics manufacturing services (EMS) firms and contract manufacturers a new capability to differentiate themselves and produce next-generation products for their customers. As different end products require unique battery designs, however, we encountered a really interesting Goldilocks-like problem: Imprint has the equipment to make hundreds of batteries for development and testing new designs. The company has lined up manufacturing partners that are already taking orders for 100,000 at a time (on their way to millions). But what about customers needing custom designs in modest volumes of thousands? We needed flexibility and speed to service new groups of customers. Our largest manufacturing partners are gearing up to optimize the low-cost production of millions of batteries of one or two designs. With product designers clamoring for a unique power source, my company, based in Silicon Valley, found the “just right” answer to our Goldilocks problem right in our own backyard — a one-of-a-kind Technology Hub operated in San Jose, California, by NextFlex, America’s Flexible Hybrid Electronics (FHE) Manufacturing Institute. NextFlex can let us quickly try out and produce new designs in the thousands. That lets our high-volume makers relentlessly drive down costs on current products — and the new products piloted at NextFlex can later graduate to our larger partners. Formed between the U.S. Department of Defense (DoD) and FlexTech Alliance in 2015, NextFlex is a consortium of companies, academic institutions, non-profits and state, local and federal governments with a shared goal of advancing U.S. manufacturing of FHE. Its members include GE, Boeing, Lockheed Martin, MIT, Stanford University and NASA, among 90 others. With over $60 million worth of R&D funding and specialized equipment at the Technology Hub, NextFlex can conduct pilot-scale manufacturing tests, filling the gap between prototyping and full-scale manufacturing in a low-risk, cost-efficient way. That’s hard for companies of any size to achieve with only their in-house resources, and that’s exactly what Imprint needed. Imprint’s own lab was designed to make hundreds of batteries per day, primarily to test new chemistries, process technology and cell designs. NextFlex can produce thousands of Imprint batteries per day. Because of this, NextFlex provides a much-needed “next step” for Imprint in terms of modest-volume, fast-turnaround production capability. We’re leveraging it as our pilot hub. If a client wants us to run a 5 thousand or 10 thousand unit lot, we’ll bring them to the Technology Hub and show the real production process. That lets us service additional customer needs and provides validation while we concentrate on the optimizations to drive billions of low-cost batteries with our high-volume partners. NextFlex has also helped drive new customers to Imprint, such as Boeing, to whom we are now a subcontractor. Connecting scientists, researchers, business leaders, policy makers and even industry competitors all under one roof, NextFlex provides a network that is unique and valuable to America’s FHE manufacturing ecosystem. Members make connections within NextFlex, look at each other’s needs and collaborate on projects. 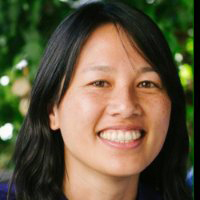 Dr. Christine Ho is the CEO and co-founder of Imprint Energy, Inc. The company is commercializing an ultrathin, flexible, printed zinc battery technology that Dr. Ho invented while completing her Ph.D. at UC Berkeley. In 2016, Dr. Ho was recognized as an Honoree of MIT Technology Review’s 2016 INNOVATORS UNDER 35 List. Should businesses plan to stick or twist when oil hits $60?